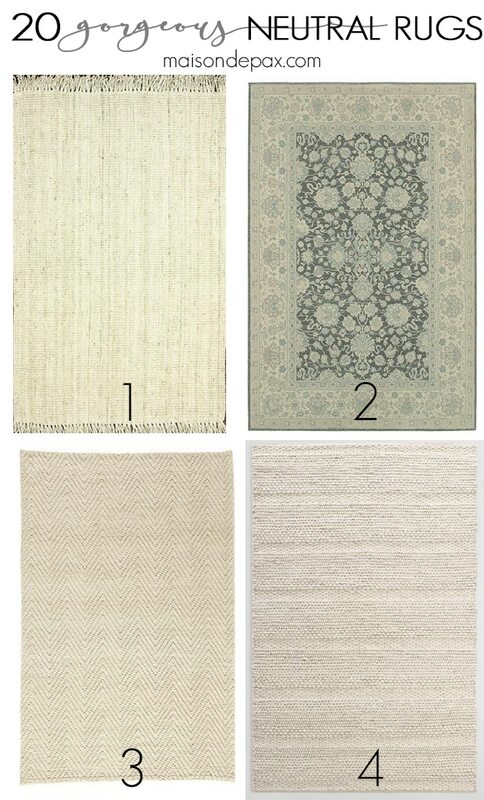 There are so many gorgeous neutral rugs available online… So soften your space with one of these neutral toned area rugs. 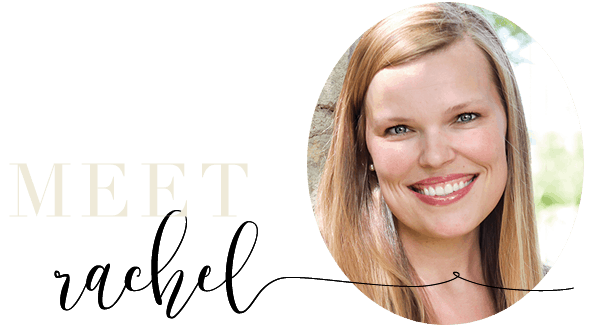 In my recent fall home tour, I got a particular number of readers commenting on the amount of texture and variety despite my rather neutral color choices (which, for the record, was exactly what I was going for… yippee!). I just love neutrals, especially as a base in my home. 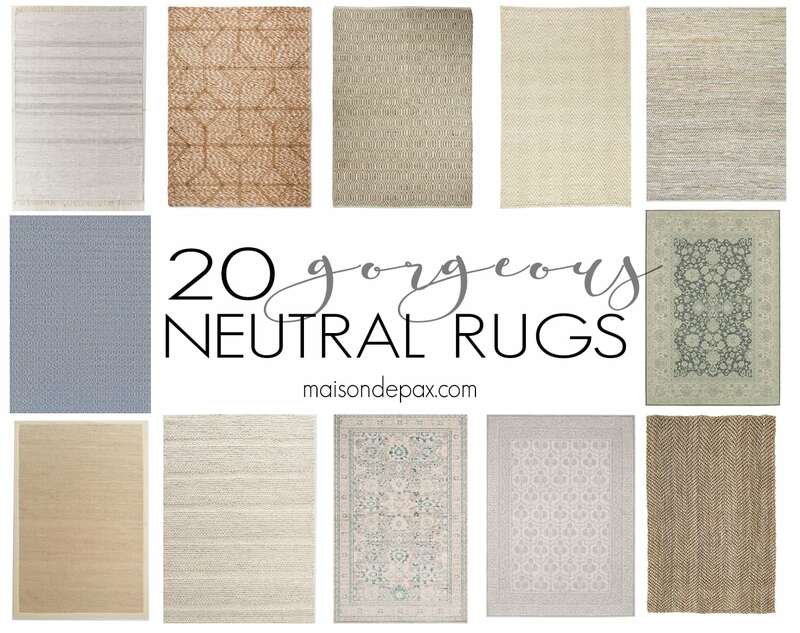 And neutral doesn’t have to mean plain ol’ beige… or boring! 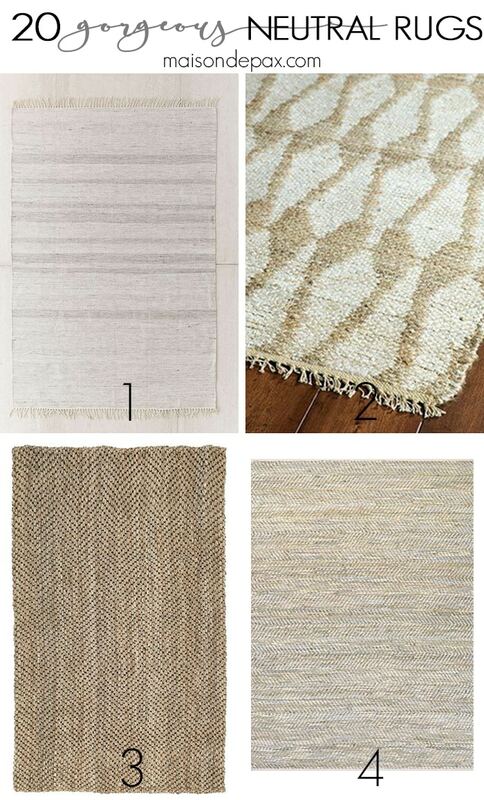 I’ve got whites, grays, a little blue, and – yes – some beige, too… But as I was thinking about adding a rug to my master bedroom, I got to thinking about what an excellent layer rugs are to any space, and I decided to gather some for you. 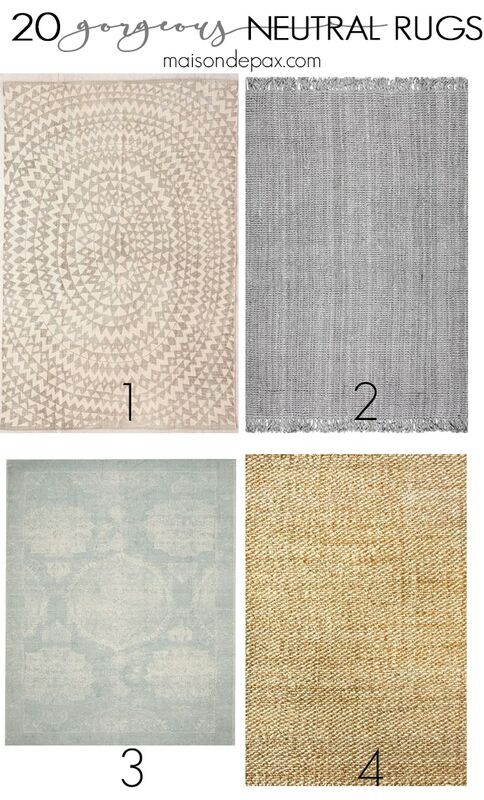 I think any of these rugs would make a beautiful base point for a textured and interesting yet neutral room. As you can see, I use the term “neutral” rather loosely. If you’ve followed for long (or toured my home), you can see that I use a lot of blue; since it is definitely one of the most common colors in nature, I’m giving myself leave to call some of these soft blues neutral. 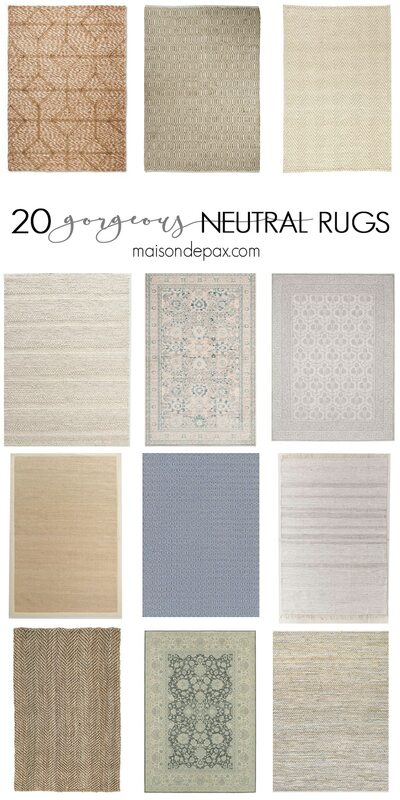 But whether you’re a blue lover or not, I think you’ll be amazed at the gorgeous options out there for soft, subtle, textured, neutral rugs! In the interest of full disclosure, I haven’t seen/touched all of these in person (I don’t have 20 spaces for rugs! ), but I do have at least three of them in my home currently, and I think the rest look awesome. 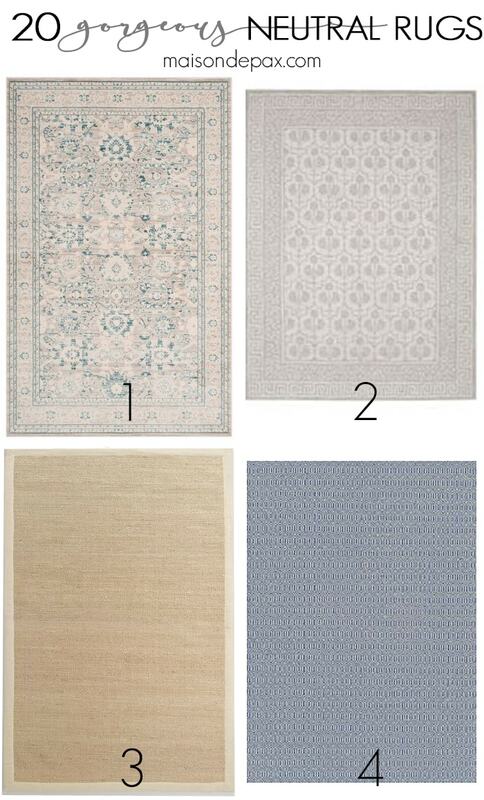 There are so many gorgeous rug options out there!! I know it feels a little risky buying rugs online, but I’ve actually gotten to where I do that pretty much exclusively. 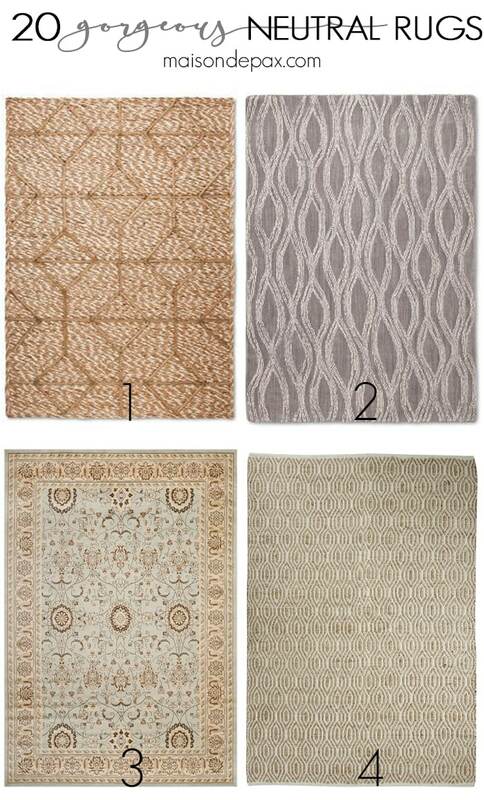 The prices and selection online (not to mention return options that some stores have) are just too hard to beat… I hope you found at least one you love; I think any of these rugs would definitely bring beautiful texture to a neutral space.